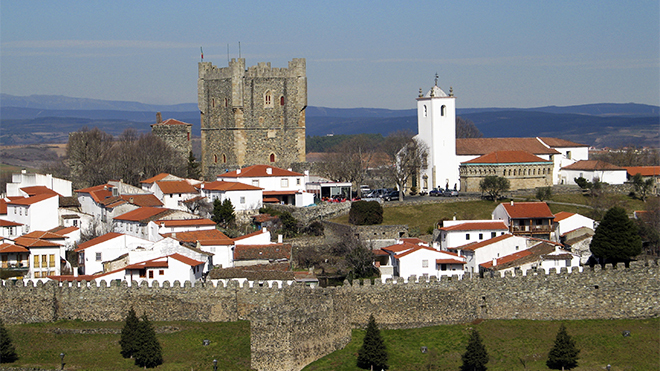 In the north of Portugal, Bragança was an important defence point of the Portuguese frontier throughout history. Within the preserved walls of this city, whose origins are medieval, stands the Castle keep, which gives visitors an amazing view over the surrounding countryside. To help organise your visit to the various points of interest, we suggest an itinerary where accessibility conditions are indicated. 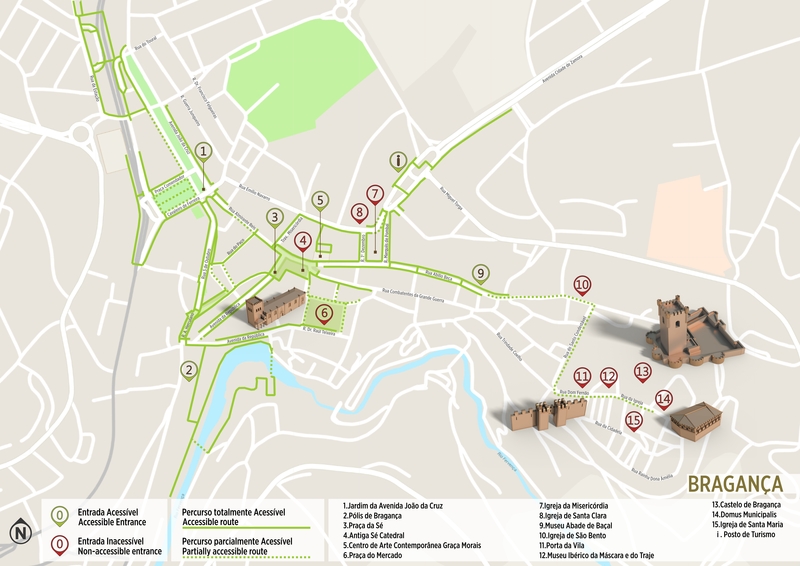 In the historic centre and the green spaces of Bragança, the surfaces are in good state of repair enabling people with special needs to get around conveniently and easily. However, some streets such as Rua Almirante Reis and Rua Emídio Navarro, are quite steep and more effort is required of tourists. In the area around the Castle the surface is mostly shale stones and so it is uneven. The streets, meanwhile, have no footpaths and slope slightly, especially at the entrances to the citadel from Ruas Serpa Pinto and Santo Condestável, for instance. This part of the itinerary is therefore regarded as partly accessible and it is best to be on the alert for vehicles and obstacles. Avenida João da Cruz, which ends in the Jardim (Garden)(1) of the same name, is one of Bragança’s main roads and can be the start of the Accessible Itinerary. It is a spacious area that also provides access to the banks of the River Fervença, with footbridges and green spaces. This part is known as Pólis (’Polis’)(2) because it is included in this urban regeneration programme. On this route, we follow the accessible Rua Almirante Reis, passing through a partially accessible block until arriving at Praça da Sé (Cathedral Square)(3). The Igreja da antiga Sé de Bragança (Church of the Old Cathedral)(4) is a 16th century building in the Renaissance style, with interesting Baroque decorative elements. Although the square is accessible, there are two small steps up to the entrance of the church. 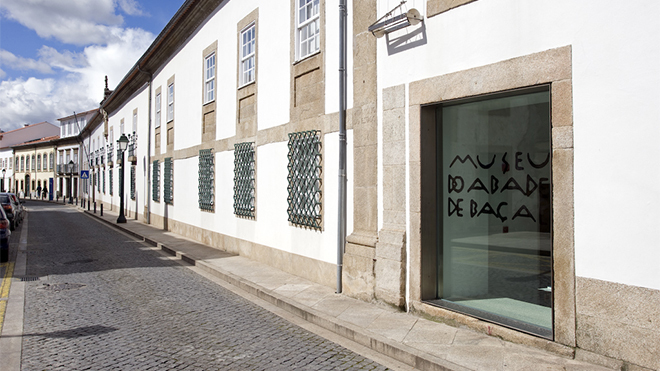 Five minutes away is the Centro de Arte Contemporânea de Graça Morais (Graça Morais Contemporary Art Centre) (5). 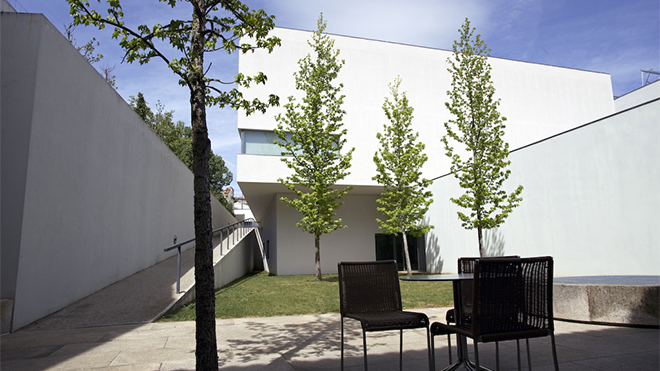 It is dedicated to the Portuguese painter but also has a varied programme of temporary exhibitions. The award-winning building was restored under a project by the architect Eduardo Souto de Mora. Right next to it is the Centre for Interpretation of Sephardic Culture of Northeast Trás-os-Montes, which shows how the Jewish community settled and lived in this border area. Continuing along Rua Abílio Beça, also known as the museum street, we pass close to the Igreja da Misericórdia (church of the Misericórdia) (7) and Igreja de Santa Clara (Santa Clara church) (8), both of artistic interest but with inaccessible entrances and barriers inside. We carry on towards the Museu do Abade de Baçal (Abade de Baçal Museum) (9). 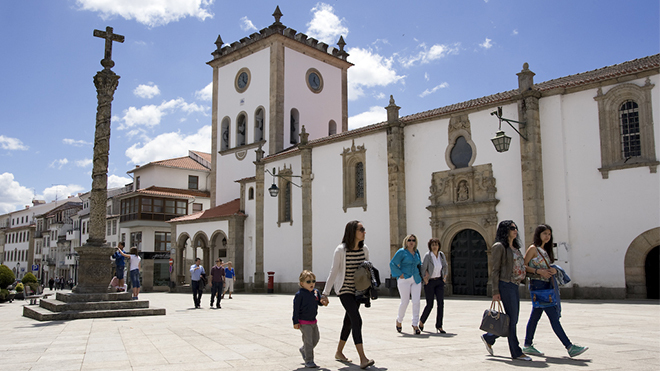 With accessibility assured, it is housed in the former Bishop’s Palace (Paço Episcopal), which dates from the 18th century. It used to be the official residence of the bishops for half the year at a time when the diocese was shared by Bragança and Miranda do Douro. It was created in 1915, thanks to the interest, taste and historical research of the north-east region by Father Francisco Manuel Alves. Further ahead on the same street we find the Igreja de São Bento (church of São Bento) (10). The itinerary continues through the Porta da Vila (Town Gate), entering the citadel where some of the most symbolic monuments of Bragança can be found. As we enter the oldest urban nucleus we are welcomed by the unusual pillory, standing on a boar-like base, recalling the Celtic origins of the region. The local traditions are well represented in the Museu Ibérico da Máscara e do Traje (Iberian Mask and Costume Museum) (12) that we find on the way to the castle. The Torre de Menagem (Keep) (13), that served as a watchtower in the Middle Ages, now accommodates the military museum that tells us the history of this walled city and its important role in the defence strategy of the territory. At the top, the view over the surrounding landscape is stunning. However, the stairs connecting the different floors impede the access of persons with impaired mobility. Leaving the tower we find the interesting Domus Municipalis (14), the meeting place of the ‘good men’ of the municipality. This type of building was usually built of wood, but the fact that it was made of stone enabled it to be preserved over a long period, making it a unique example of Romanesque civil architecture. The interior is spacious but the steps and uneven floor make an independent visit problematic. 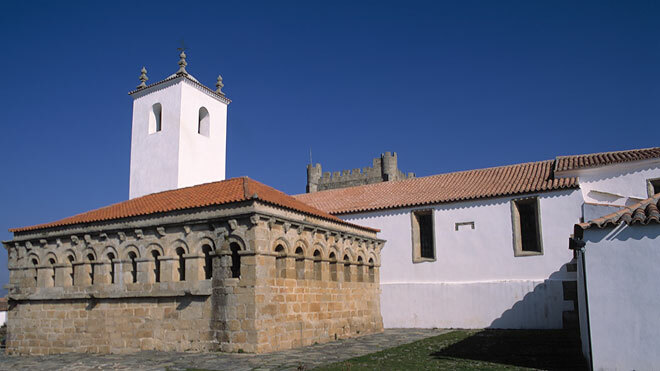 As we come to the end of the route there is still time to visit the Igreja de Santa Maria (church of Santa Maria) (15), the oldest in Bragança, or Romanesque origin. Decorative embellishments were added in the 16th, 17th and 18th centuries, in particular the Renaissance and Baroque styles that we can see today. Just as in other monuments from the same era, the entrance is approached by small steps and the interior is spacious, but with occasional obstacles. After getting to know Bragança, it is still worth visiting the Montesinho Natural Park and going to Rio de Onor, a communitarian village which lives harmoniously, half Portuguese and half Spanish. In Bragança, public road transport is provided by STUB. The buses have places reserved for people with impaired mobility, platform lifts to enter and leave the vehicle with plenty of space inside. Urban lines U1, U2, U3 and U4 connect the main points of interest in Bragança, but the shelters often do not provide information on fares and timetables, prior consultation is therefore suggested. Bragança does not have a railway station, but it does have a network of interregional and international buses that connect with various Portuguese and Spanish cities. Buses usually have places reserved for people with reduced mobility, however there are no platform lifts to help getting on and off. The bus station is fully adapted, with ample spaces, information screens and toilet for people with reduced mobility. The ticket counters are not lowered, however.